Pidilite Industries Limited with CIN no. L24100MH1969PLC014335“we”, or “us”) take the privacy of those visiting this website (“you”) (“Website”) very seriously. We are committed to complying with data protection legislation which regulates the processing of your personal information and grants you various rights in respect of this information. This Privacy Statement (the “Statement”) describes how we use the personal information which is supplied to us by visitors to the Website, including personal information we obtain when we offer services through the Website (the “Services”). You may only use our Services if you are over 18. Reference is also made to WD-40 Company Limited (“WD-40 Company”). This is the company which operates the Website. Its corporate HQ address is Brick Close, Kiln Farm, Milton Keynes, MK11 3LJ. We provide this Statement because you have the right to know what information we collect about you, how it is protected and used, and the circumstances under which it will be disclosed. The Statement also describes your data protection rights, including a right to object to some of the processing which we carry out. More information about your rights, and how to exercise them, is set out at section 11 below. We reserve the right to modify this Statement at any time. If we make material changes to this Statement, we will notify you of this either by email or by means of a notice on the Website; where necessary we will obtain your consent. This Statement explains how we use personal information that we collect from, or which is supplied to us by, Users of our Website. WD40 Company as the operator of this website may collect information related to the browser or device you use to access the Website, including log files such as internet protocol (“IP”) addresses, internet service provider, referring/exit pages, operating system, date/time stamp, and clickstream data. See the ‘Cookies’ section below. WD40 Company use data about Users to compile anonymous, aggregated statistics for operational and marketing purposes. Such purposes include benchmarking, determining appropriate levels of hardware, determining the numbers of employees that will be needed to provide the Services to our Users, and reporting numbers of Users that use the Services. This anonymous, aggregated data is not used in any way that can identify an individual User. To support your participation in competitions and surveys. To assist us in providing better products and Services: for example, to evaluate the performance of our staff, to assess the quality of our products and Services and to help us improve our Website, facilities and Services. Ensuring the security of our websites and information technology systems and protecting our rights. On other occasions where we ask you for consent, we will use the information for the purpose which we explain at the time. Fulfilling your orders and taking payments from you. Providing customer service related to your interactions with us or to respond to your enquiry. Arranging the delivery or other provision of products, Services or prizes. 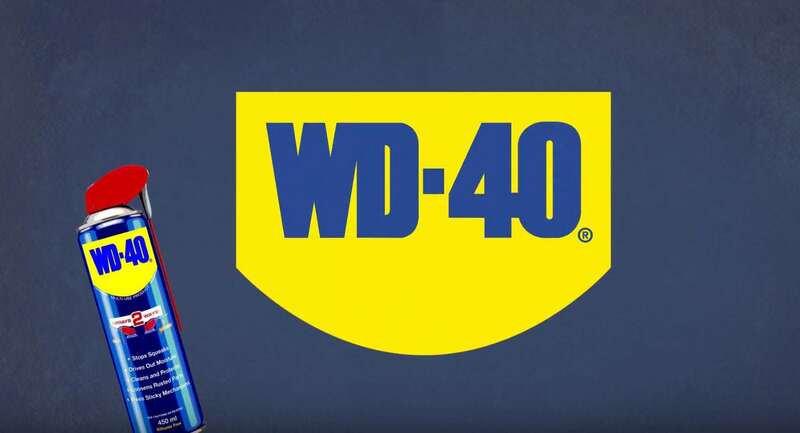 WD-40 Company may disclose aggregated user information about how the Website is used with us to customise the advertising and marketing messages you receive on the Website,. Aggregated data may be shared with these companies so this customisation can be achieved. Anonymous click stream, number of page views calculated by pixel tags and aggregated demographic information will also be shared with our advertisers and business partners (e.g. Google). WD-40 also uses data regarding your visit to the Website to perform statistical analysis in order to measure interest in, and use of, the various areas of the Website. It will share such information with relevant advertisers or external parties. We will, however, provide only aggregated data from these analyses to third parties, not specific Users’ data. Personal information will be shared with third party service providers (including technology consultants and CRM vendors), who, in the course of providing services to us, will be given access to the information you have provided to us and will process it on behalf of us and WD-40 Company for the purposes identified above. Such third parties include providers of website hosting, maintenance, and technology and CRM services. Each of these service providers is contractually obliged to provide services to us in a manner consistent with this Statement. Our employees, agents and contractors must have a business reason to obtain access to your personal information. We share also your personal information with those who help us manage or provide the Services (e.g. message board administration, statistical analyses, data processing, and order fulfilment), or with outside contractors, agents or sponsors who help us with the administration, judging and prize fulfilment aspects of contests and promotions. These outside contractors or agents will only use your personal information to provide us with a specific service and not for any other purpose. In the event that the business is sold, integrated with and/or transferred to another business, your details will be disclosed to our advisers and any prospective purchaser’s adviser and will be passed to the new owners of the business. Your personal information will be disclosed where disclosure is necessary in order for us to comply with a legal obligation or is otherwise necessary in order for us to protect our rights, the rights of our affiliated companies, the rights or safety of any individual or the public, and rights of our Users or any third party. Contacting us using the contact details at section 13 below. We do not transfer your personal information to countries outside your home country except with WD-40 Company. However, if this changes, we will tell you. We have implemented reasonable technical and organisational measures designed to secure your personal information from accidental loss and from unauthorised access, use, alteration or disclosure. Persistent cookies are used that only we can read and use to identify browsers that have previously visited the Website. When Users provide us with identifiable information about themselves, a unique identifier is assigned to them. This unique identifier is associated with a persistent cookie that we place on the User’s web browser. WD-40 is very careful about the security and confidentiality of the information stored in persistent cookies. For example, we do not store account numbers or passwords in persistent cookies. As is true of most websites, we gather certain information automatically and store it in log files. This information does not identify individual Users. Log files include internet protocol (“IP”) addresses, browser type, internet service provider, referring/exit pages, operating system, date/time stamp, and clickstream data. WD-40 use this information to analyse trends, to administer the Website, to see how Users move around the Website, and to gather demographic information about our User base as a whole. They do not link this automatically-collected data to your personal information. WD-40 collect certain anonymous information from your visit to the Website via industry standard and commercially available web analytics solutions, including Omniture Web Analytics. 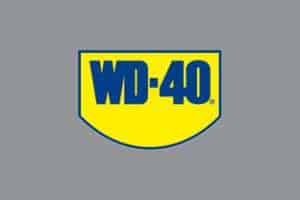 WD-40 use clear gifs (a.k.a. web beacons) that help us better manage content on the Website by informing us what content is effective. Clear gifs are tiny graphics with a unique identifier, similar in function to cookies, and are used to track the online movements of web users. In contrast to cookies, which are stored on a user’s computer hard drive, clear gifs are embedded invisibly on web pages and are about the size of the full-stop at the end of this sentence. We use clear gifs in our HTML-based emails to let us know which emails have been opened by recipients. This allows us to gauge the effectiveness of certain communications and the effectiveness of our marketing campaigns. If you would like to opt-out of these emails, please see section 4 above. . The Website contains links to other websites over which we have no control. We are not responsible for privacy policies or practices of other websites to which you choose to link from this site. We encourage you to review the privacy policies of those other websites so you can understand how they collect, use and share your information. You should be aware that if you upload comments, ideas, suggestions, product reviews and/or end user content together with your name or initials to parts of the Website that can be viewed by other Users, or you provide this kind of information directly to us, we will use your comments, ideas, and suggestions, and your name, for our marketing purposes. If you change your mind and no longer wish your information to be used in this way you should contact us using the contact details at section 13 below. Where we process personal information for marketing purposes or with your consent, we process the data until you ask us to stop and for a short period after this (to allow us to implement your requests). We also keep a record of the fact that you have asked us not to send you direct marketing or to process your data indefinitely so that we can respect your request in the future. Where we process personal information in connection with performing a contract or Service, or for a competition or as otherwise necessary to service you as a customer, we keep the information for five (5) years (unless otherwise required by local law) from your last interaction with us. You have a right to ask us for a copy of your personal information. You also have the right to ask us to correct, delete or restrict (stop any active) processing of your personal data, and to obtain the personal data you provide to us for a contract or with your consent in a structured, commonly used and machine readable form, and to ask us to share (port) this data to another data controller. You have the right to object to the processing of your personal information by us in some circumstances (in particular, where we do not have to process the data to meet a contractual or other legal requirement, or where we are using the data for direct marketing). These rights may be limited, for example if fulfilling your request would reveal personal data about another person or breach the privacy rights of others, or if you ask us to delete information which we are required by law to keep or have compelling legitimate interests in keeping. To exercise any of these rights, you can get in touch with us using the contact details at section 13 below. If you have unresolved concerns, you have the right to make a complaint to the data protection supervisory authority where you live, work or where you believe a breach may have occurred. You do not have to supply us with any personal information in order to visit the Website. If you use our Services we will ask you to supply us with information. When we ask you to supply us with information we will make it clear whether the information we are asking for must be supplied so that we can provide the services you wish to access and whether the supply of any information we ask for is optional. If you choose not to provide the information, you may not be able to use some Services. To change or update the information we hold and which relates to you please contact us, using the contact details at section 13. Pidilite Industries Limited is the data controller of your personal information. If you have any questions about this Statement, please contact us at Pidilite Industries Limited, Regent Chambers, 7th Floor, Jamnalal Bajaj Marg, 208 Nariman Point, Mumbai 400 021.